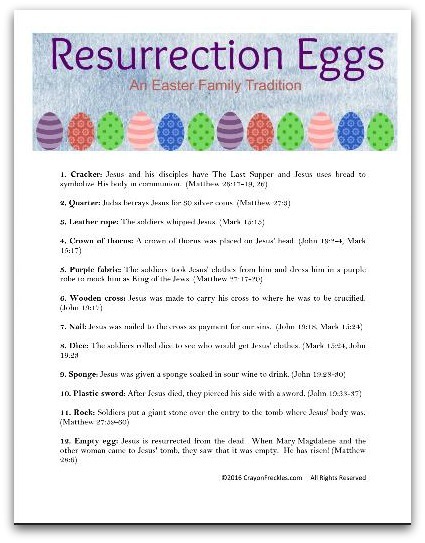 When I taught Preschool Sunday School, we made Resurrection Eggs with the kids. 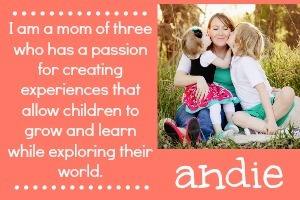 It was a fun activity that they could take home and share with their family. Since then (3 years ago), the Resurrection Eggs have been a favorite for our family during the Easter season. The beauty of this activity is the simplicity. I think that next year, we may invest in a sturdier set of eggs since they'll be used so much. If you haven't seen or heard of Resurrection eggs before, here's what they are and how they're used. An empty egg carton makes for a great container. Each egg is numbered with a permanent marker so that you know what order to open them in. Inside is a small object meant to represent a piece of the story of Jesus's crucifixion and resurrection. We also had a small paper printout that gave the details of the event and Bible verses that correspond to it. 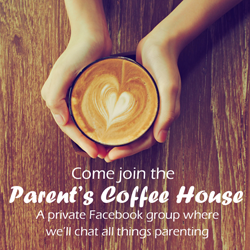 I've since created this printable that could be printed, folded up, and placed inside the carton. Or you can cut it apart to create a label for your carton using the picture header. 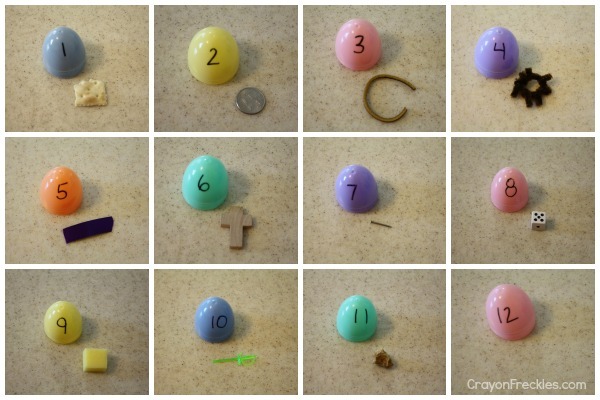 Then fold up each numbered event and put them in their corresponding egg. 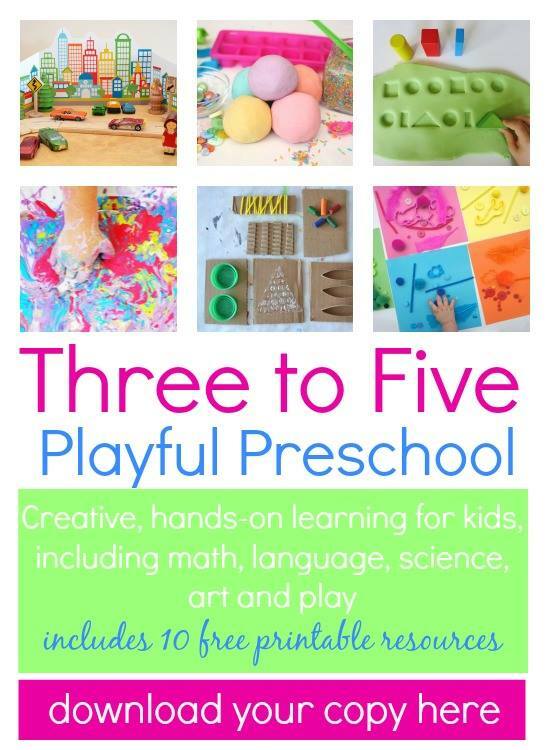 Get your copy of the printable below here. 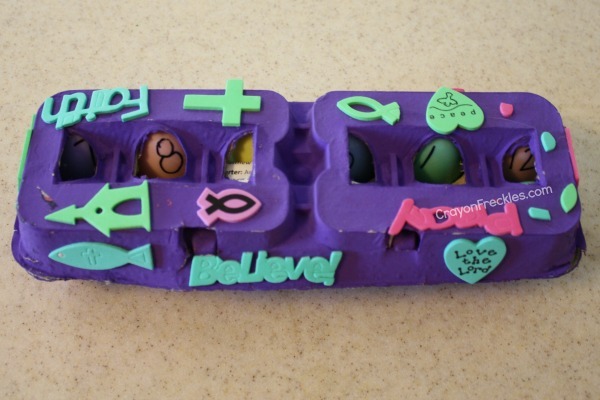 These Resurrection Eggs are such a great way to walk through the last days of Christ with children in a simple, hands on way that children can understand. I hope your family enjoys them as much as ours does!